At least if your are a Windows user you probably need two computers these days. In the morning after I have turned it on and wanna start working with it my computer usually becomes in-responsive for several minutes while updating the virus scanner, running virus scans and especially when the installer kicks in to install updates. The disk light goes on and the system is basically freezing. No matter how powerful your computer is, Windows turn it into a slow creature. The disk seems to become the bottleneck while virus scanner and installer read tons of data and other applications almost get no time slice to do anything. Time to grab a coffee, or use your second computer to get things done, hopefully one with may be Linux installed. I decided to leave my computer alone while it is doing all its morning routine. True multitasking apparently doesn’t work under Windows if a single application or two can force it to be completely under their control. On my private desktop computer with Windows 7 installed yesterday I changed the settings in Windows Update Center from "Automatic installs" to "Automatic downloads, but prompt me for install". 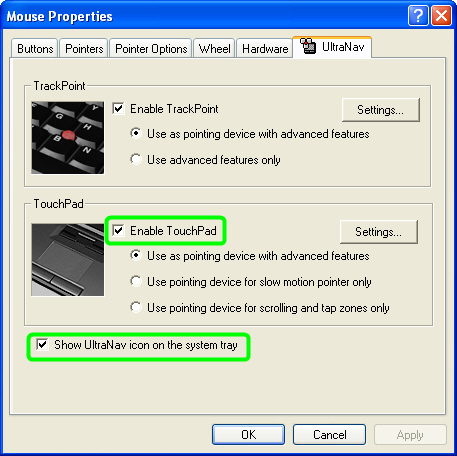 This should allow me to decide when the install actually will run and thus give me as a user the power to first get my things done before letting the computer do its sanitary work. Let’s see how this works out in the future. "Potala Palace, Lhasa" by ddanforth. 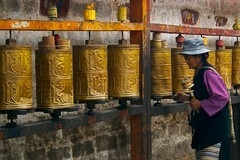 My wife has been there in Lhasa a couple of years ago when she did a great hike from Jiri to the Mount Éverst Base Camp. 4 % of German internet users said they will stop shopping in the web because of the recent data theft case at Sony, 23 % feel unsafe now when using online services. Source: “Allgemeine Zeitung for Friday, May 6th, 2011”, survey by Bitkom. Also I am reading on their German web site that 37 % of internet users share their password with someone else. We could add: … once it is competently programmed and working smoothly, it is outdated and needs to be replaced. One road to simplification leads through reducing redundancy. Redundant solutions or processes lead to confusion, expensive overhead and loss of productivity. Thus, it is important to not introduce more redundancy in the attempt to reduce it or to “simplify”. Simplification should mean throwing things away instead of adding more. Nicely illustrated in this Dilbert comic strip ! How small can you make a computer ? Well, this version, nicely presented by John, has a keyboard with just one key. John show us how to use it in this funny video “THE FUTURE TECHNOLOGY!”. 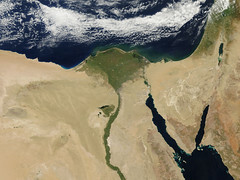 "Egypt" by NASA Goddard Photo and Video. This impressive photo from NASA shows Egypt in spring, where you can see the green Nile delta and vegetation zone following the river throughout the desert. The photo was taken by the Moderate Resolution Imaging Spectroradiometer aboard the Terra satellite on April 11th. Where the Nile begins to broaden and form the delta, the city of Cairo can be seen as a gray oval smudge. “Tired of typing the same thing again and again ? “ has been a question I recently asked in my blog when I introduced a little gadget I developed using AutoIt: TypeBot, a little tool letting you define phrases to be typed into windows with a particular title through a simple single click on that phrase. Meanwhile version 2 became available allowing you to add, change and delete your own phrases through the GUI, allowing to handle multiple INI-files and also coming with an executable so that you can use the tool without having to install AutoIt. Alan Lepofsky must have had a similar thought when he developed the Paste Information Application, a little Lotus Notes database and tool to avoid re-typing the same things again and again, allowing you to paste pre-defined bits of information that you reuse often into Lotus Notes documents and mails with two simple clicks ( one to select that bit from a listbox, one to click OK ). In his blog he nicely describes the application and how to install it, and provides links to download the needed Lotus Notes database. I installed it on my Lotus Notes 8.5.1 client and it works like a charm. One of the many reasons why I love Dilbert comics is that they very often are about the pleasure to work in these modern cubicle landscapes our employers have crafted for us. Well, I only go there if I have to, otherwise I stay at home. Why should I go through this morning commute madness ( actually not so bad in my case; just a 20 minute car ride into Mainz, a medium size town in Germany ) just to get to a place where I actually can not work efficiently ? 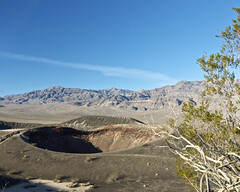 Something to enjoy: my favorite photo on flickr under a Common Creative license – about a crater in Death Valley. "Little Hebe Crater" by stevelyon. in the US the majority of Facebook users are female. Source: These statistics are available here on socialbakers. Especially human language ! Watson did a great job last week to deal with this and win the Jeopardy! Challenge. In case you missed it you may want to head to my stream of IBM related videos on youtube and find there 6 10-minute video clips showing how the 20-minutes show episodes went last week on Monday, Tuesday and Wednesday, or you may just want to watch this nice 10-minute summary. A collection of articles about Watson I have collected here as a Goodle Bookmarks List. Being a project manager many hundred years ago probably wasn’t much easier than it is today. Think for instance about the project of defending a castle. For such a project it was real critical to meet the dead lines, as nicely shown in the Herman comic strip. Look at this quote Thomas Watson, chairman of IBM, made in 1943. OK, that’s long ago. Nowadays there are actually 7 computers in my household, not to count any mobile devices, which I actually don’t use except a mobile phone. Some day we will probably ask ourselves: what do we do with all these computers ? Do we really need so many ? The Goddard Photo and Video Blog publishs a few interesting shots every day, like the one from Hurricane Earl, as seen on September 1, 2010. 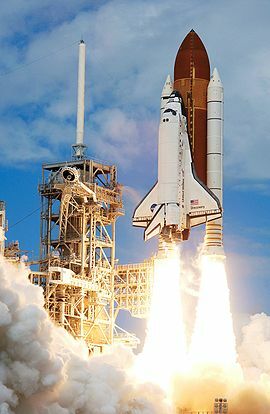 NASA joined the Commons on Flickr on August 30th with three iconic sets spanning the US space agency’s 50+ year history. Their Commons account will feature photos from across the agency’s many locations and centers, chronicling the history of space and lunar missions, and the people and places of the organization. One of their photos you can see below on the right. 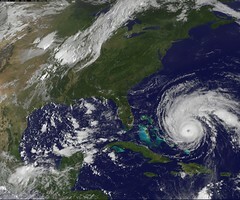 "NASA Satellite Captures Hurricane Earl on September 1, 2010" by NASA Goddard Space Flight Center. 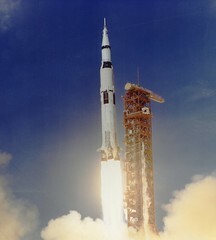 "Apollo 11 Launched Via Saturn V Rocket" by NASA on The Commons. You know this: you have got a new computer with Windows Vista installed and certainly with a firewall like G Data Security Firewall and this thing starts bombing you with tons of questions whether you want to allow this and that – questions you actually don’t know how to answer right since in most cases it just throws a cryptic program name at you and you have no idea who started this ( was it me ? ), what this piece of software is doing and who developed it. Who the hell is “SoftwareUpdate.exe” ? 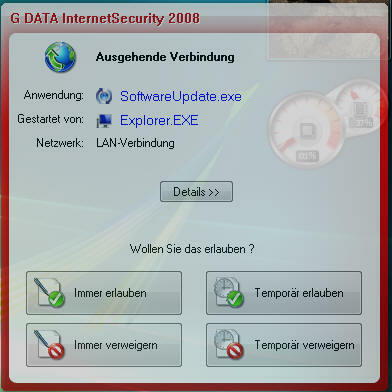 Who has launched this and how can I know whether this is something necessary for proper operation of my computer, wherher it is may be harmful or even dangerous ? Can’t this ignorant firewall ask its questions in a way that I can understand it ? Come on; i am the one supposed to make a decision here, how can I do this without knowing answers to those essential questions I have ? Well, looks like this firewall software is not smart enough to phrase questions in a reasonable way. But, a closer look reveals there are options available to make ourselves a little smarter. See, “SoftwareUpdate.exe” is shown in blue color; isn’t that typically the color of a link to some more information ? Well, I admit, I found out by accident as well, even I am working with the internet for many many years meanwhile. I just did not expect a link showing up in some dialog box on my desktop. We see where the program is located. 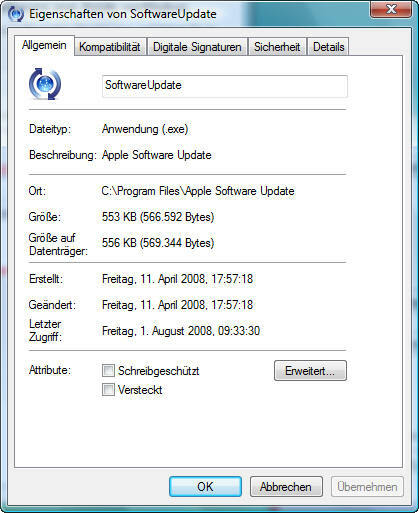 The path name has some meaning for us: “Apple Software Update”, And we also see the same in the description (“Beschreibung”). Great. Since we believe Apple belongs to the good guys I think we can answer that question from our firewall with: “Yes, I allow that.” Before we do so we might verify by checking under “Digital Signature” that Apple really is the provider of this software, and we see there: “Apple Inc.”.